Delhi Photo Diary: Ganpati Bappa Morya! 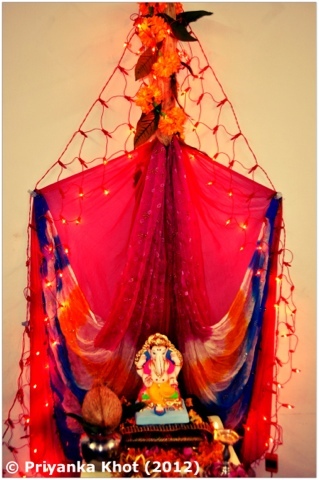 This is the idol of Lord Ganesh that graced our home this year. The decoration has been done by yours truly. I used my chhunis and red coloured fairy lights to make the idol's seat beautiful. May Lord Ganesh remove all the hurdles in your lives!